October is finally here and that means it’s time spooky plans for Halloween! 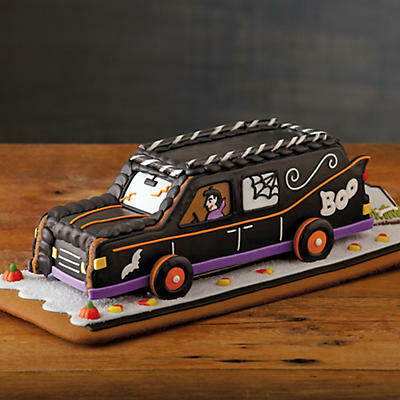 Does your sweetie have a birthday during the month of October or around Halloween time? 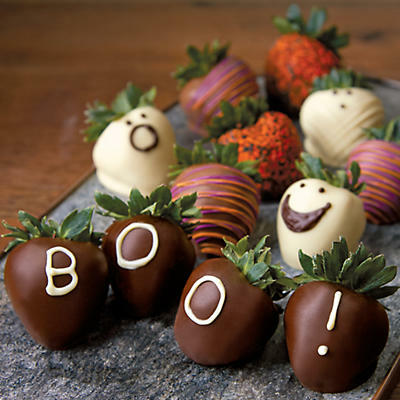 Are you heading to a Halloween party and need a gift to take the hostess? 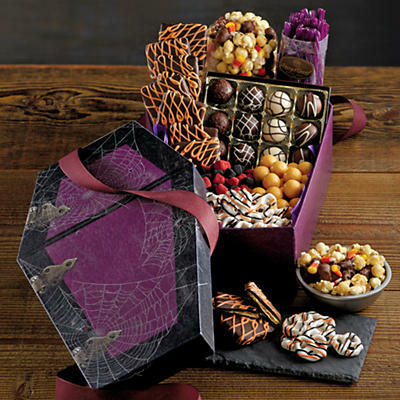 Sweet edible treats are a perfect gift idea for occasions around the Halloween season. If you’re not very good in the kitchen, don’t worry! 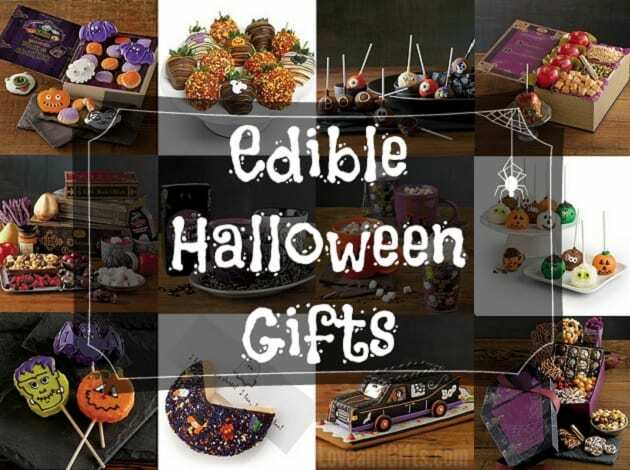 We’ve got you covered with these fabulous edible gift ideas for Halloween 2014 including brownies, mini cheesecakes, cake pops and more! Cake pops are becoming more and more popular for parties because they can be individually wrapped for easy gifting and eating. They can be a little difficult to make on your own but using the Babycakes Pop Maker make it a whole lot easier. 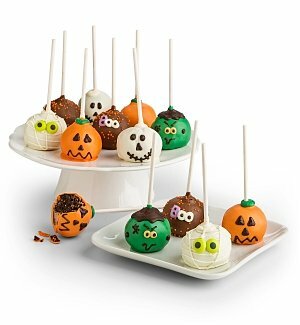 If you don’t have time to make your own Halloween cake pops, you can always order them already decorated and ready to go. 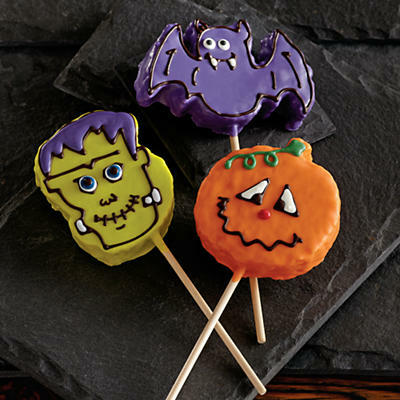 One of the leading online gift retailers, GiftTree.com , sells these yummy Halloween Cake Pops decorated as creatures such as mummies, monsters and ghosts individually wrapped by the dozen. 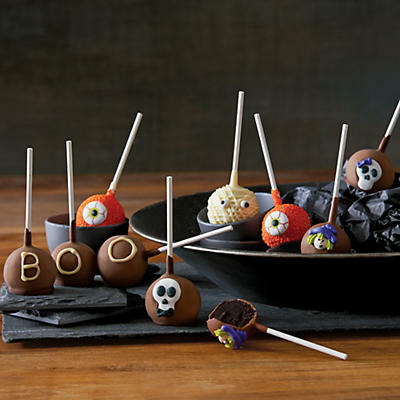 HarryandDavid.com also offers a few gourmet pop options such as these hand decorated Halloween Cake Pops and incredibly delicious Halloween Krispy Pops . 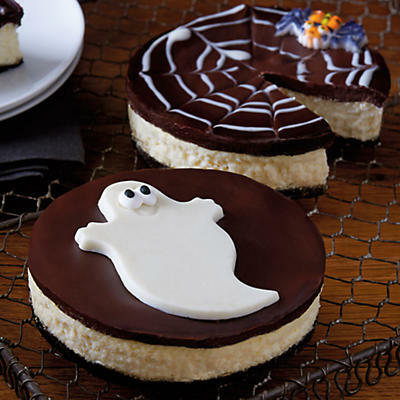 This Halloween Ghost and Spiderweb Cheesecakes and this Halloween Gingerbread Mobile prove that you don’t have to put cake on a pop to get fun Halloween inspired creations. 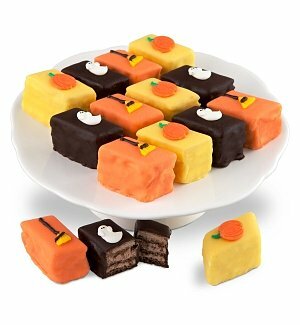 These Halloween Petits Fours set comes with 16 individually wrapped pieces which contains 3 layers of moist cake and 3 layers of butter cream frosting. They come in a variety of Hazelnut Praline, Vanilla, Lemon, Apricot, and Chocolate flavors. 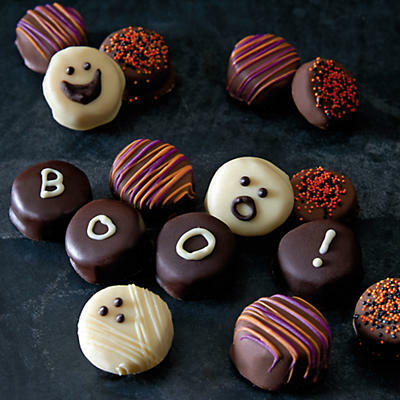 Sweet juicy fruit covered in rich chocolate make wonderful little Halloween treats! 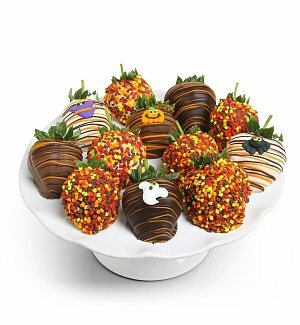 These Chocolate Dipped Halloween Strawberries as well as these Halloween Hand-Dipped Chocolate-Covered Strawberries are covered in Belgian chocolate and decorated in a Halloween theme. If the gift recipient isn’t a fan of strawberries, you can cover pretty much any fruit in chocolate like these gourmet Halloween Hand-Dipped Chocolate Bananas. 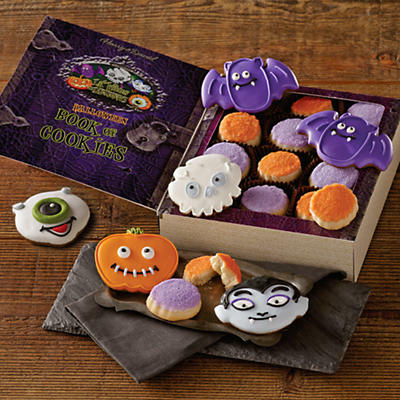 Delectable Personalized Halloween Cookies or the Halloween Book of Cookies gift set are sure to please any birthday girl/boy or hostess with a sweet tooth! 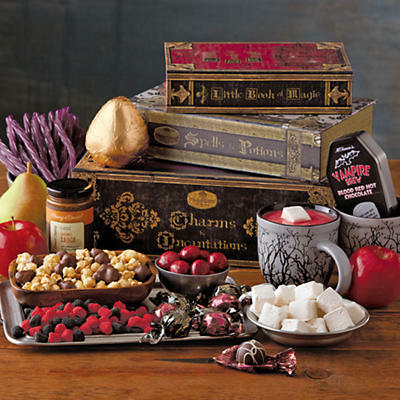 Halloween Book of Spells Gift Tower come complete with all kinds of treats which are sure to please every sweet tooth. 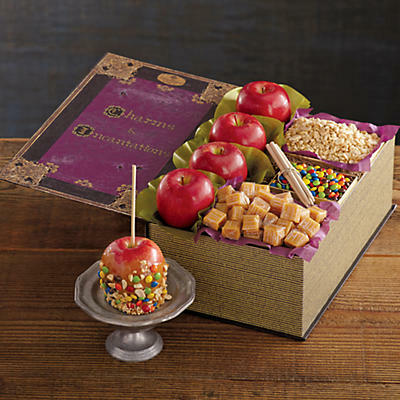 Other unique gift sets include the Halloween Coffin Gift Box with an assortment of tasty snacks and this Caramel Apple Kit which comes with everything you need to make 4 caramel covered apples. Autumn time is the perfect time for a warm cup of hot cocoa or seasonally flavored coffee. 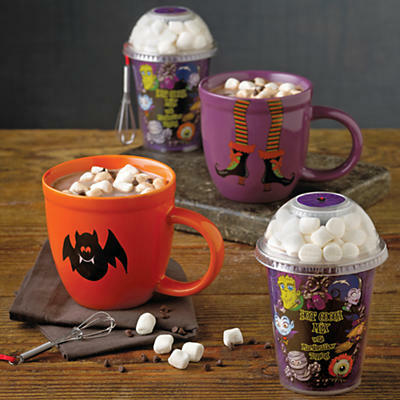 This Halloween Hot Chocolate Gift set comes with everything you need to make a tasty cup of hot cocoa for two including two mugs, 2 hot cocoa mixes with marshmallows and cocoa drops and 2 whisks. 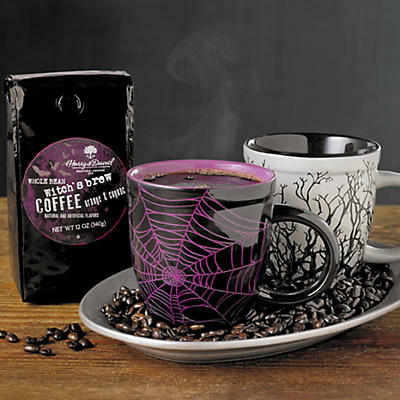 If you prefer coffee, the Witch’s Brew Coffee Gift comes with two coffee mugs decorated with a Halloween theme and a bag of “Witch’s Brew” whole bean coffee. 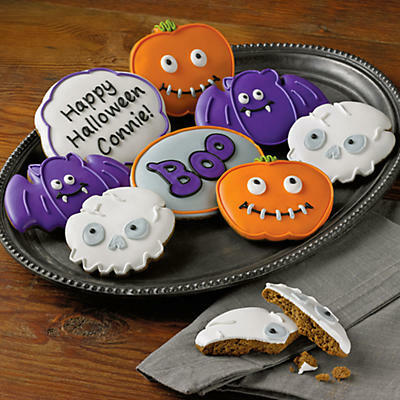 Whether your lover’s birthday falls on or near Halloween or if it’s just your favorite holiday, a yummy edible Halloween inspired gift is always a good idea. 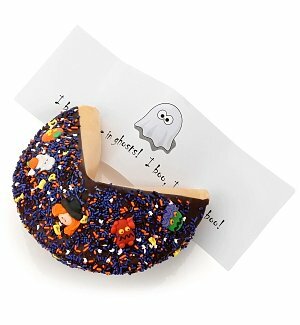 What’s your favorite sweet treat to eat during the Halloween season? Let us know in the comments below! Click here to browse our other awesome gift lists!